This morning we're leaving the North Island and boarding a ferry to take us across Marlborough Sound to the South Island. Once again, I'm amazed by the things you can do with luggage. At the ferry terminal in Wellington we hand over our suitcases on the understanding that they will be put on this ferry, taken off at the other end, then put on a train, which we will also (fingers crossed) be getting on and eventually we'll collect them at Kaikora station. 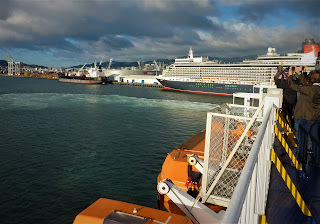 Once we boarded the Interislander Ferry we legged it as fast as we could up to the top deck to get a good view. This was a big boat similar in size to the Hull-Zeebrugge one we've been on in the past, with bars, a children's play area and cinema, but we wanted to see as much of the scenic journey as possible. The first third was spent watching Wellington slowly disappear from view, while sailing past islands, some of which were populated and at least one of which was only inhabited by wildlife and all non-indigenous animals were strictly forbidden. The middle third got a bit cold and windy, so I took the opportunity to catch up with a bit of football (Spain v Denmark I think) in the sports lounge. The final part of the crossing was spent picking a route through beautiful narrow channels of water between dramatic hills and tiny inaccessible bays. This was almost worth the cost of the ferry journey alone. 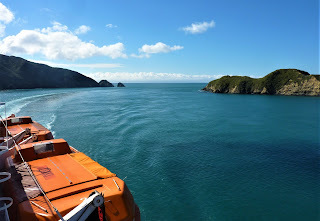 We bobbed in to Picton about 3 hours after leaving Wellington and we were now South Island dwellers (for a couple of weeks). A short walk from the ferry terminal was the train station and we boarded the Coastal Pacific to Christchurch, though we wouldn't be going that far yet. 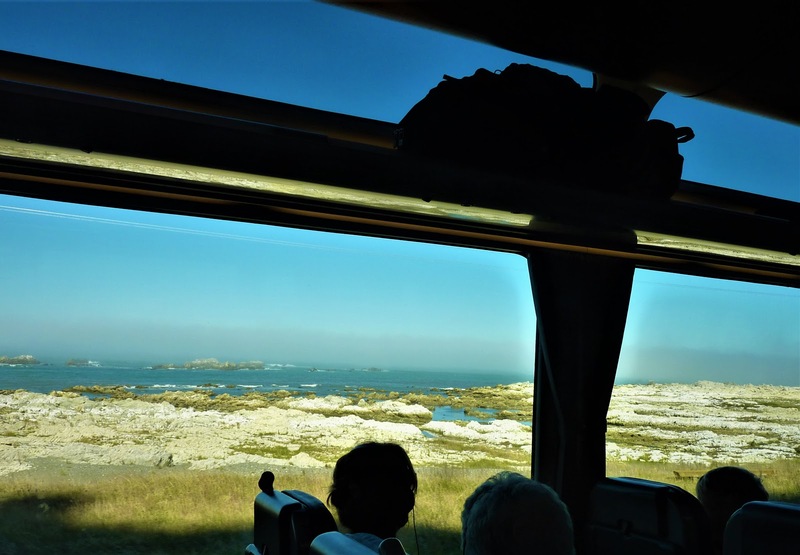 The train line we'd be using had only reopened in January this year, having been severely damaged in various places by the 2016 Kaikoura earthquake, so we were quite lucky to be able to travel this way. However, what we weren't able to do was go in to the open carriage which should have allowed us to stand and look at the panoramic views without seats or windows obscuring the views. In the last few days, they've had to close this carriage because, despite all the instructions and warnings, some people were hanging out over the edge taking selfies and risking serious injury, or worse, blurry selfies. So unfortunately, the actions of a few idiots had now spoiled it for everyone. The train journey was still interesting and we saw seals and spectacular views of the Pacific Ocean accompanied with occasional commentary on the headphones provided. We arrived at Kaikoura and thankfully so had our luggage, so it was now the small matter of a 20 minute walk along the coast, Justine adding to the sound of ocean waves lapping on the beach by dragging her suitcase with both wheels now broken, noisily behind her. 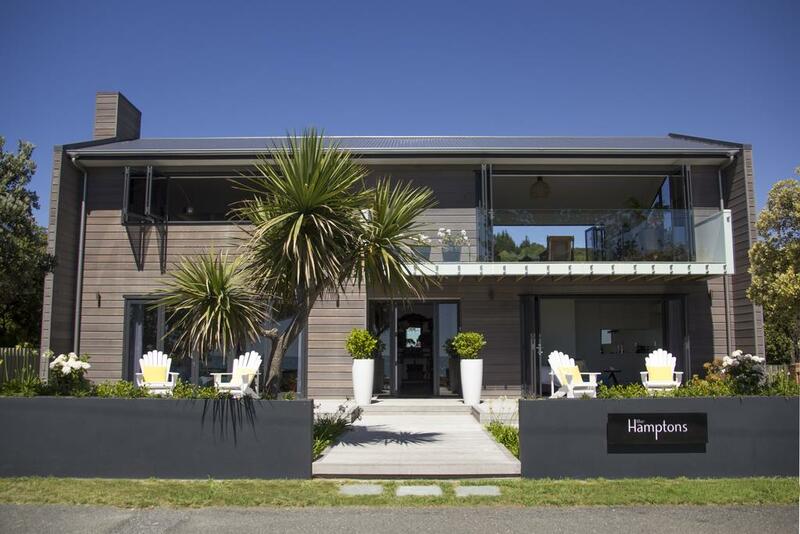 It was a relief to the ears of everyone in the region when we made it to our B&B, The Hamptons, a very cool house overlooking the ocean.